while it rains: cloud dough fun! wow, i am so behind on my pinterest to do list! with everything going on in our lives lately i almost forgot about this one we crossed off in the spring. 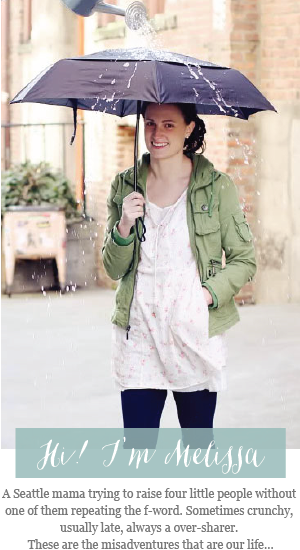 this is the perfect rainy day activity! i love to get stuff like this ready before the kids are up for the morning or during nap, that way we can slip seamlessly into an activity before they go stir crazy. i mixed mine up in a rubbermaid tub but choose to have them play in the bath tub for easy clean up. just a little advice if you do the same, scoop up as much extra dough as possible before rinsing the tub out. it clumps and might clog your drain if there is too much. 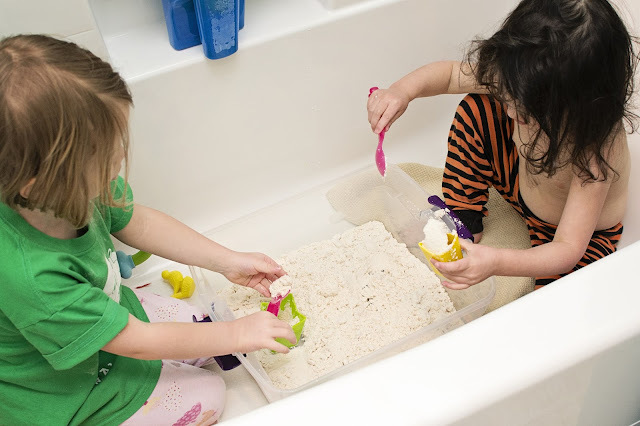 i really want to fill their little tiny plastic pool or their sand table up with this stuff for a bigegr play space sometime - it is soft and squishy and easily moldable for hours of fun. if it doesn't get wet then you can easily store it for later use too! we did eight cups of basic flour + one cup of baby oil, we used lavender for a yummy smell!